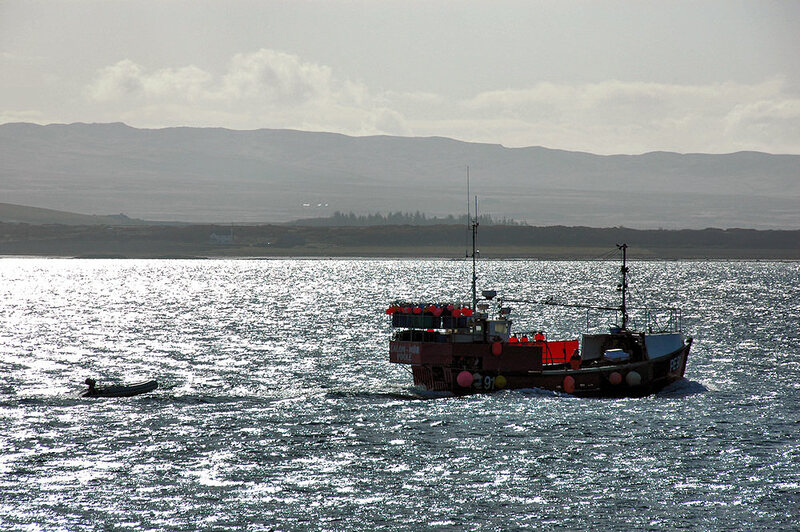 Seen from Bruichladdich (if memory serves me right), a fishing boat on its way in Loch Indaal to a days work. This entry was posted in Landscape, Repost, Sea Loch, Sunny Weather and tagged Bruichladdich, Fishing Boat, Islay, Loch Indaal by Armin Grewe. Bookmark the permalink.